Learn how document scanning can help reduce your business’s carbon footprint. Environmental responsibility should be everyone’s concern. ‘Going green’ is good for your bottom line, as it often saves you money, and more and more consumers are looking for environmentally responsible companies. One great way to reduce your carbon footprint and go green is to use a document scanning service to decrease your dependence on paper. Is Paper Really a Problem? Many people think of paper as a green choice since it is easy to recycle, but paper products still require a lot of energy. Even recycling paper into new paper requires resources and energy. In fact, about 2% of greenhouse gases come from the production of paper products. And even though it is easy to recycle, 25% of paper products still end up in landfills. And with the average office worker using 10,000 sheets of paper per year, it adds up to a big problem very quickly. Most offices use a lot of paper. Even files that are produced digitally are often printed out for meetings or to produce hard copy backups. The average document is printed or copied about 19 times, and about 50% of printed files are immediately discarded because of errors. Even when the hard copy is used in a meeting, 40% of the time it is thrown out within 24 hours. If the copy is put into a file, about 20% of files and documents get mislabeled, misfiled, or otherwise lost. Once your office switches to paperless options, all of these issues resolve themselves. 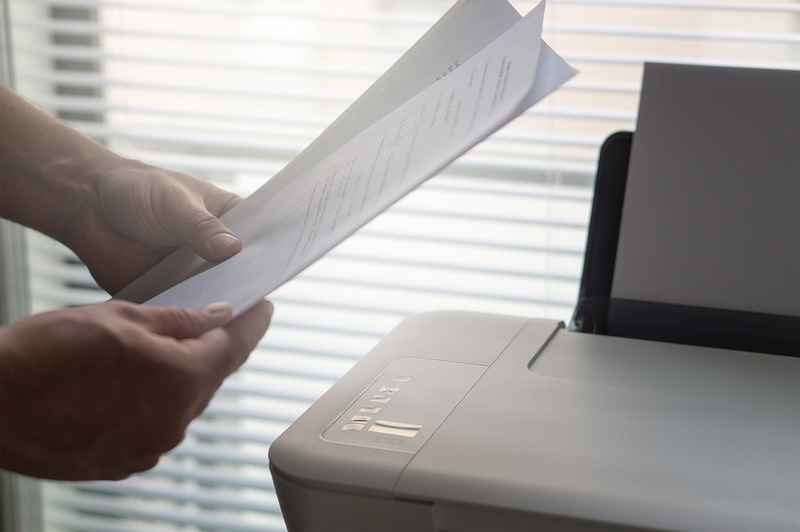 Scanning your paper documents into digital formats means that you will no longer have to print copies. If you need to back up files or send copies to coworkers, it is easy to copy and email the file. If you scan your documents and manage them with a DMS, you don’t have to worry about misfiling or losing them either, since it is easy and often automated. Digital files are also easier to manage and take up less space than a physical backup. If you have a scanning service come in to convert your files, the process will be quick and easy for you. You don’t even have to worry about recycling those old paper files since the service can take care of the appropriate document destruction for you. This entry was posted on Thursday, March 28th, 2019 at 4:26 pm. Both comments and pings are currently closed.